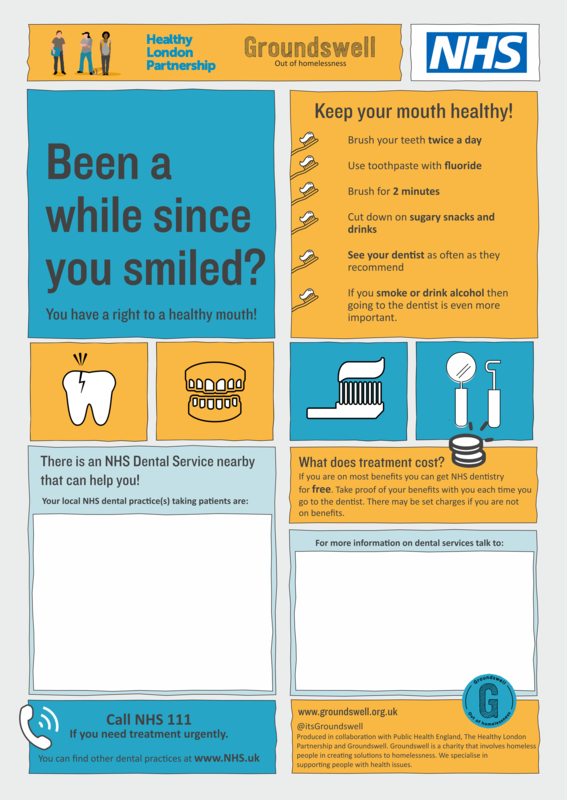 A poster and guidance to help people who are homeless in London get easier access to a dentist. The poster has been designed to be displayed at homeless services. The guidance explains the types of services available, how to access them and how if you are working with people who are homeless you can lead the way and become an Oral Health Champion. These resources are produced in partnership with homeless charity Groundswell and Public Health England.